Wright Calibration provides Quality Calibration Services to Manufacturing, Heat Treating and Medical Companies throughout the Upper Midwest. Specializing in all types of Hardness Testing Calibration and Repair, Optical Comparator Calibration and Repair and Dimensional Calibration. We also provide the most accurate and affordable Hardness Test Blocks in today’s marketplace! 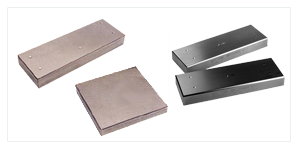 At Wright Calibration we provide some of the most accurate and affordable hardness test blocks available in today’s market. Specializing in Brinnel & Rockwell Test Blocks, we treat your equipment as if it was our own. We can provide you with the affordable repair and calibration services needed to insure your equipment tests with the most accurate results possible. Wright Calibration is the leader in the field of the calibration, repair, and maintenance of all make and models of Hardness Testers. We go above and beoynd the competitoon with each and every calibration. For our regular calibration customers we strive to give you 24 hour response time to any breakdowns or emergencies that may occur. 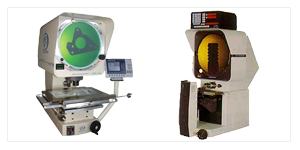 Wright Calibration is a leader in the field of the calibration, repair and maintenance of all makes and models of Optical Comparators. We strive to exceed our competitors with each and every calibration. We offer professional repair services for all makes of optical comparators. Jones & Lamson, Deltronic, OGP, Starret, Mitutoyo, Nikon to name a few. Wright Calibration also provides a full range of certified diamond and ball indenters to accommodate each scale of Rockwell hardness testing. Calibration sets provide the user the assurance that your hardness tester is accurate throughout the entire testing scale. We Providie Quality Calibration Services to Manufacturing, Heat Treating and Medical Companies throughout the Upper Midwest. Specializing in all types of Hardness Testing Calibration and Repair, Optical Comparator Calibration and Repair, Dimensional Calibration.